For Photographers. For Videographers. For Scientists. For Artists. For Librarians. For You. Rock-solid. Powerful. Flexible. Adaptable. Affordable. photools.com is a leading developer of Digital Asset Management (DAM) software. Since 1998 we have been developing and supporting reliable image management software for professional and amateur photographers, photo agencies, artists, scientists, corporate, institutional and governmental users. Digital Asset Management provides solutions to store, organize, find, retrieve, view, process, print and share digital files. Other terms for this are image management, photo management, photo cataloging or photo organizer. What's New in IMatch 2019? Try IMatch for Free with the fully functional 30-day trial version. We provide support for all our trial software. Visit the IMatch Learning Center for free video tutorials. See IMatch in action. Thanks to the IMatch Anywhere™ technology you can now access IMatch databases remotely, from any device and operating system. Browse IMatch DAM contents in any modern web browser with the free IMatch WebViewer™ app. Finally, an easy, affordable and flexible digital asset management solution you can use at home as well as in your company or institution. Super-quick deployment and easy maintenance - full IMatch DAM power. What's New in IMatch Anywhere 2019? Try IMatch Anywhere for Free with the fully functional TRIAL Edition. We love our products and we really care for our users. This is why we provide exceptional support. Click here for support info and a direct email link to the developers. The photools.community is the #1 place for IMatch and IMatch Anywhere support. See what others have to say about IMatch and our dedicated support. See how IMatch compares to other digital asset management systems - many of which costs thousands of dollars per year. 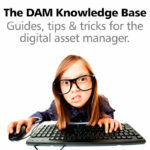 Useful and free articles and tutorials about general digital asset management challenges and how to handle them with IMatch. Copyright © photools.com - All rights reserved.